With 2018 well underway, many businesses are in the process of evaluating their digital marketing strategies to ensure they are using their resources as efficiently as possible. While high-quality backlinks, rich content, and focused keyword usage have long been essential for a healthy SEO ranking, the new year brings along a whole new set of challenges and considerations when trying to rank your website on page one. Let’s take a minute to explore some of the most important, up-and-coming SEO trends for 2018 and how you can ensure that your organic search appearance is as strong as possible this year and in the future. It has been nearly three years since Google announced that desktop searches had been surpassed by mobile searches on their search engine, and now nearly 60% of searches take place on smartphones and tablets. Google is finally responding to this shift in user behavior by rolling out their mobile-first indexing; this means that, “Google will create and rank its search listings based on the mobile version of content, even for listings that are shown to desktop users.” Providing a true one-to-one experience in terms of content and design for users on mobile devices will be a crucial element to maintaining quality search rankings in 2018. Google has always been big on User Experience. With consumers moving away from desktop computers in favor of smartphones and tablets, it’s imperative for businesses to have a fast-loading website that provides flawless performance across all browsers, devices, and platforms. Among the technical SEO practices out there, there has been a significant focus on time to first byte (TTFB) over the past year. This will continue into 2018 as websites are increasingly judged by users and search engines to perform well on smaller screens and slower connections. The way people search for information has changed drastically in the past few years thanks to the adoption of voice search on tablets, mobile phones, and voice assistants such as Google Home and Amazon Echo. This new technology makes it easier than ever for people to simply ask their device a question and instantly receive the information they’re looking for. With over 20% of mobile queries generated by voice search, this emergent medium will likely continue gaining market share and as a result, marketers must begin asking themselves: How do we create a content and SEO strategy for this new search method? -What question does this page answer for users? -Do we offer comprehensive information? Will a user need to return to searching after they visit this page? -In what context are people searching for this information? Is the content optimized for different devices and users? -Is the information laid out in an approachable, easy-to-read format? As smart technology and voice-only devices advance, voice search will continue to increase in prominence, becoming considerably more important to consumers and businesses alike. Brand awareness will also become progressively more important as trusted sources of information. Single answers from voice searches and understanding the tech behind this movement will also be critical. At Pubcon in November 2017, Gary Illyes announced that structured data or schema markup is actively used by search engines to more easily index websites and rank content in on the search engine results page (SERP). Using structured data helps search engines to interpret what a specific web page is about, and ultimately provides more information about your site and content. Recipes are a perfect example of a content type that works well for structured data as they allow you to include details such as cook time, ingredients, and nutritional information. Schema.org provides a great resource to show all of the ways Schema Markup can be used to organize information on your site. Additionally, Google provides a Structured Data Testing Tool to ensure you markup your web pages properly. SEOs can expect Google to continue finding more ways to use structured data to help better rank pages based on user intent this coming year. The final noteworthy SEO trend for this coming year is an increased use of Search Engine Results Page Features and the Google Knowledge Graph. Well-known SERP features include Google Adwords, shopping results, reviews, featured snippets, images, and more. Gone are the days of “10 blue links” as Google continues to add new rich elements helping to quickly provide answers to users’ queries. Marketers should thoroughly and regularly analyze search results for each specific industry, content, and keywords to familiarize themselves with results that the keywords in their niche are delivering. Based on the nature of search queries, Google’s Knowledge Graph features shopping results, relevant ads, up-to-date news stories, stats, videos, images and related questions — all of which can push organic search results below the fold. Knowing what works well in your industry, down to specific search phrases, will be vital in ensuring you’re able to compete. As we continue to progress through 2018, it is clear that search engine ranking strategies will continually evolve to satisfy ever-changing search algorithms. Google will continue to enhance web users’ experiences by scanning the relevance of a page’s content through structured data, using sites with faster page speeds, and including new SERP features. Google will also ensure that websites are mobile-friendly and full of semantic keywords and phrases to help rank for voice searches. It takes a lot of time, effort, and long-term care to stay on top of all these latest updates — that’s where Hark can help. 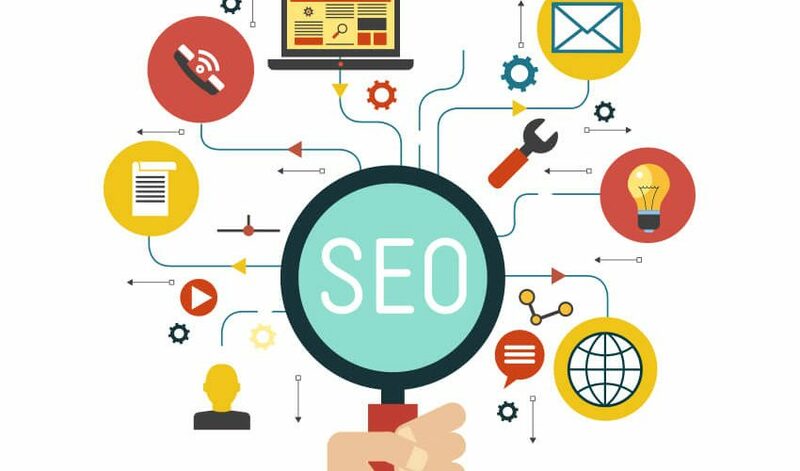 Our trained and knowledgeable marketing professionals can help develop and monitor a customized SEO strategy specifically for your unique website and industry. If you’d like our help to create a strategy for this year and in the future, feel free to reach out!